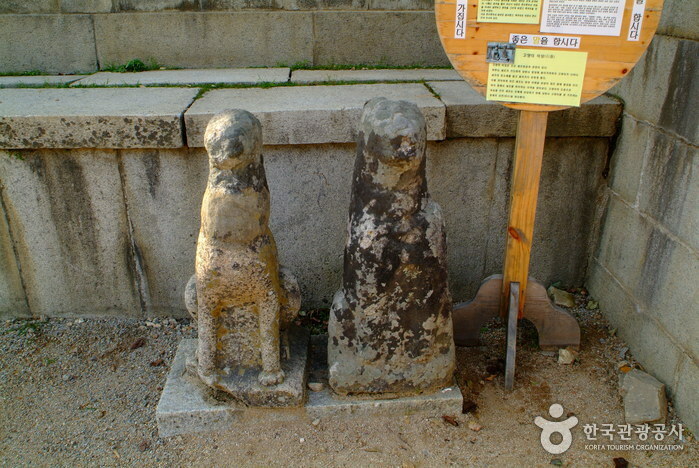 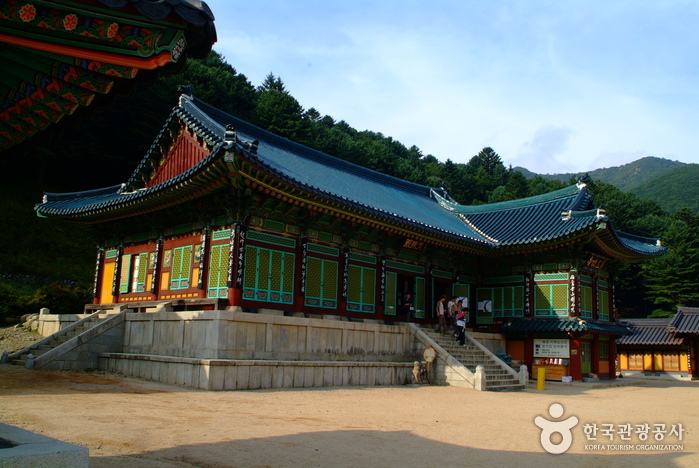 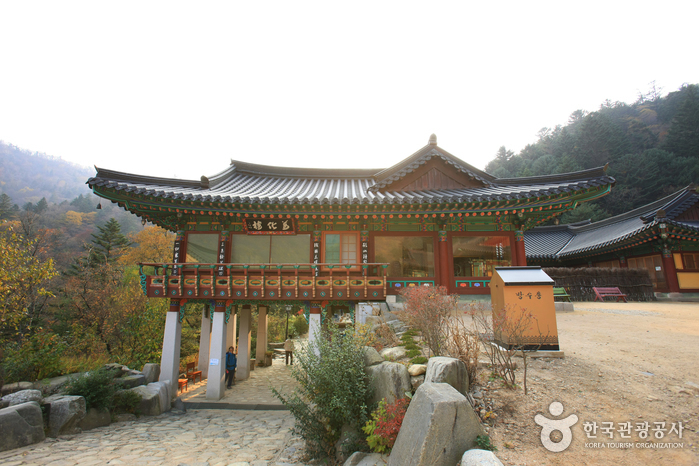 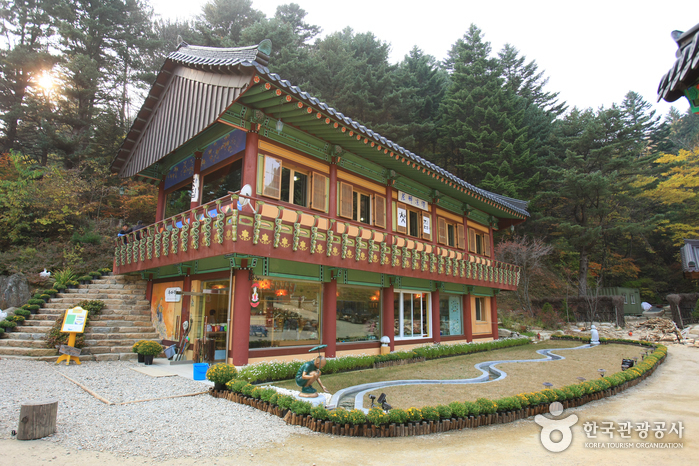 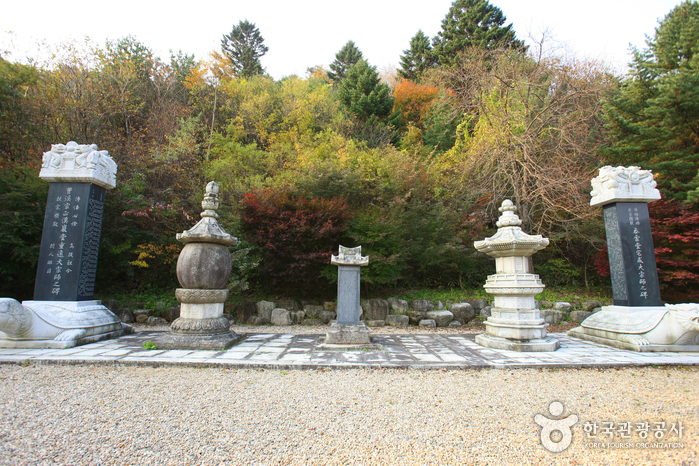 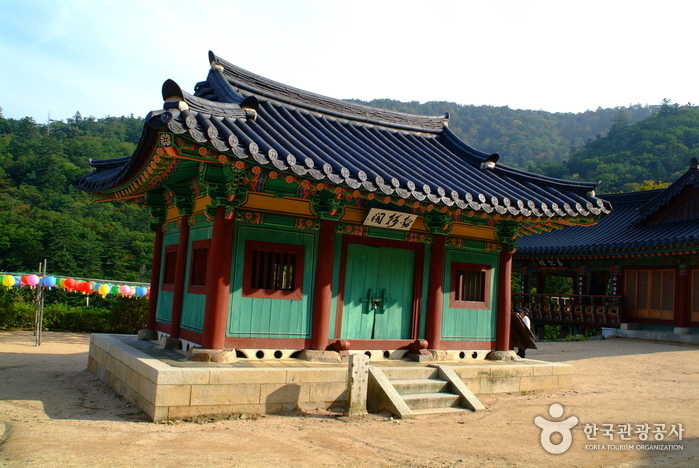 Sangwonsa Temple is located 8km north of Woljeongsa Temple. 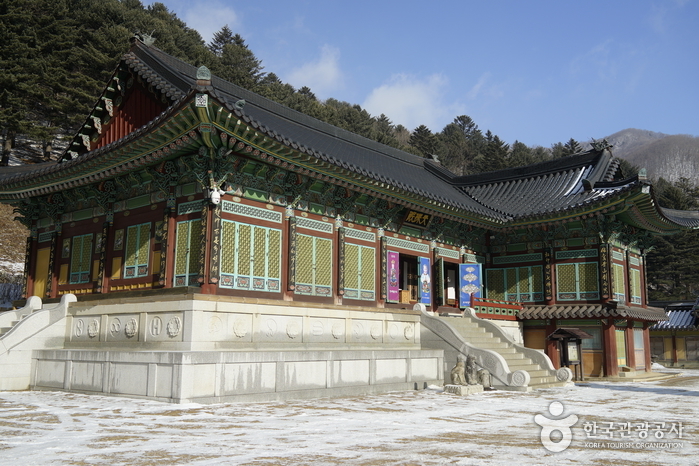 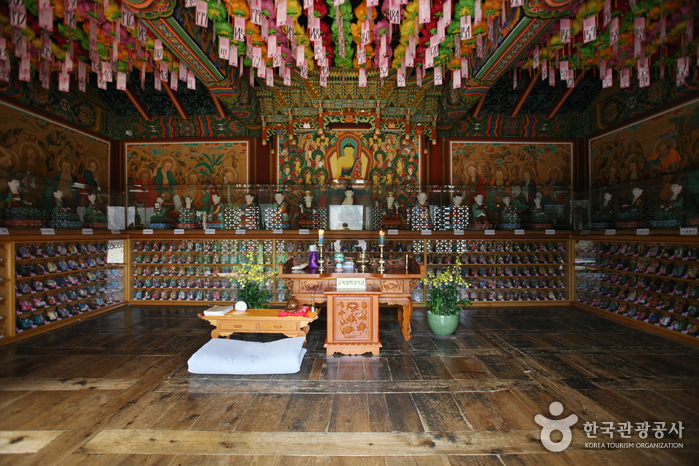 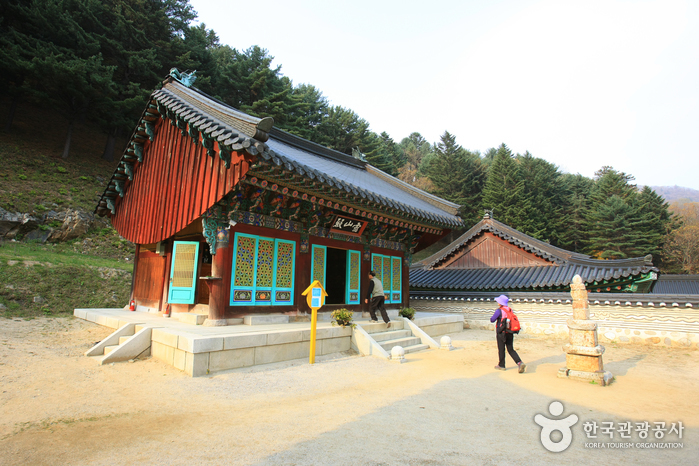 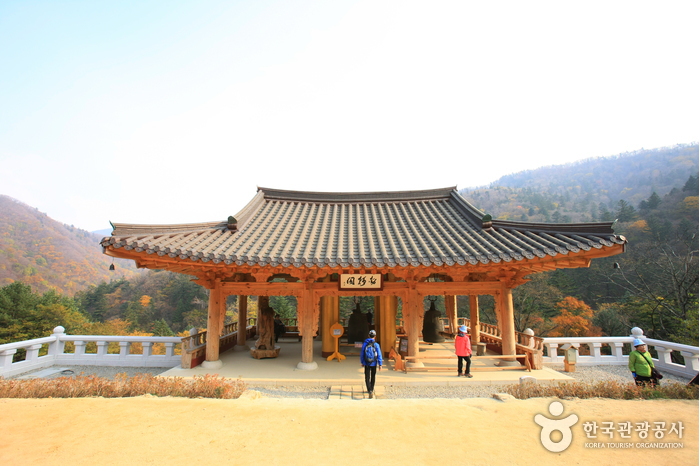 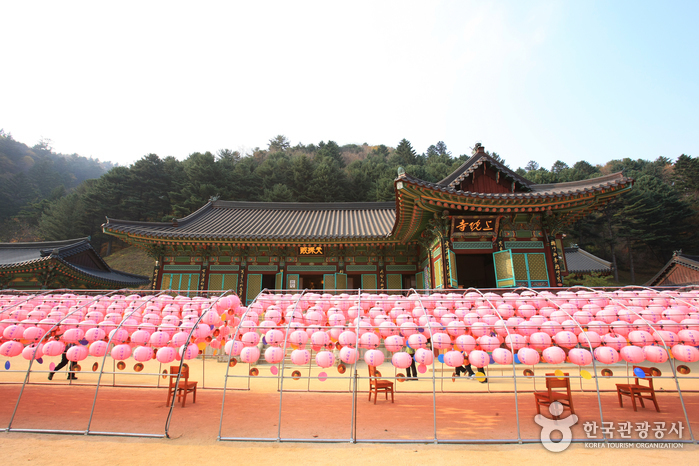 The temple was built by Buddhist monk Ja Jang in the 12th year of Silla Queen Seondeok, and rebuilt in 705 during the 4th year of King Seongdeok's reign. 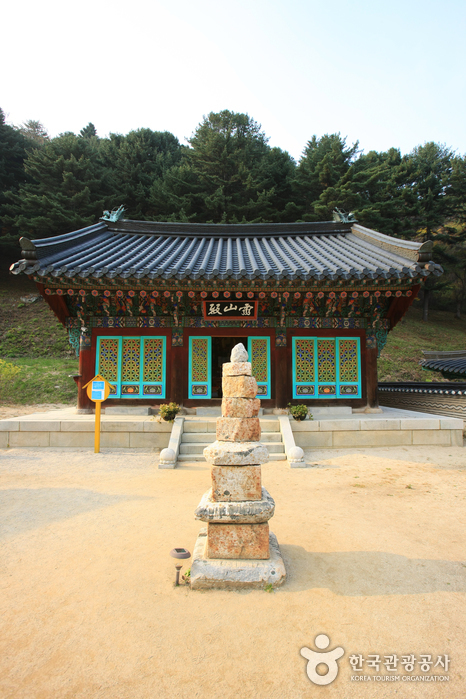 It burned down in 1946, but was restored once again in 1947. 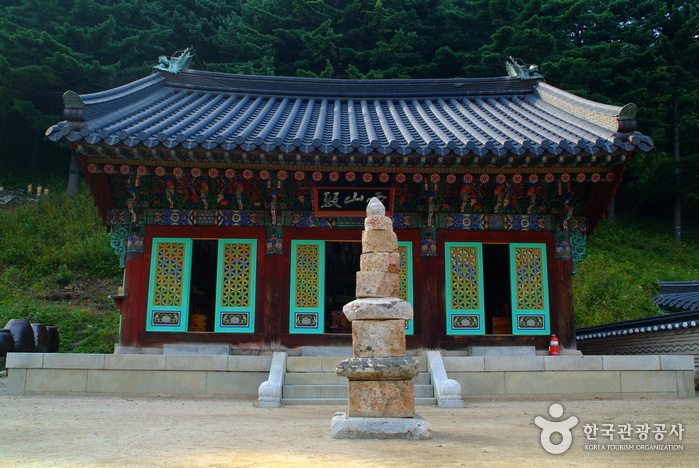 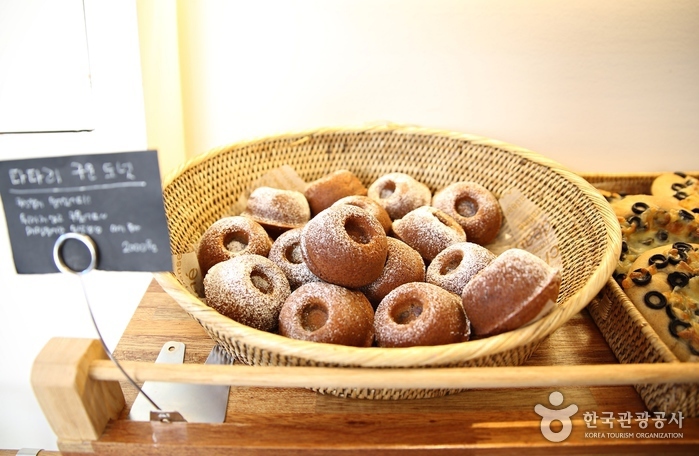 The temple is home to the Bronze Bell of Sangwonsa (National Treasure No. 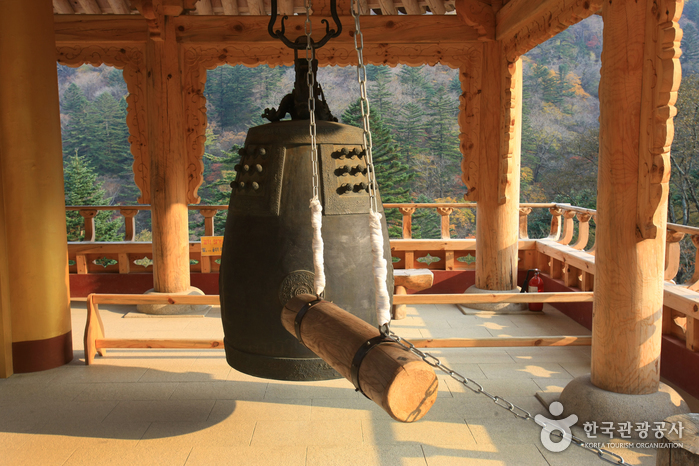 36), the oldest bronze bell in the nation. 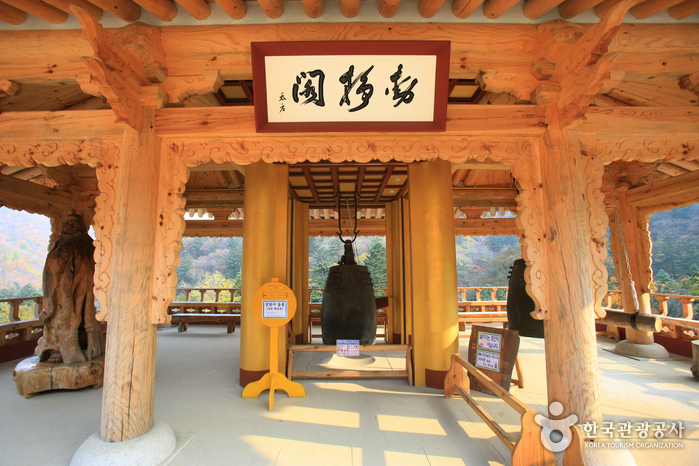 The bell, built during the 24th year of King Seongdeok, has a height of 1.67m and a diameter of 91cm with a beautiful, clear ring. 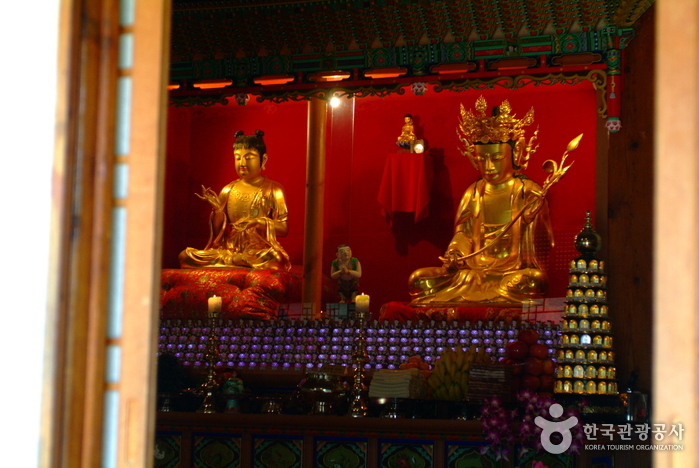 Other relics at the temple include Statue of Child Manjusri, said to have been seen directly by King Sejo, as well as a tablet commending the rebuilding of Sangwonsa Temple, written by King Sejo. 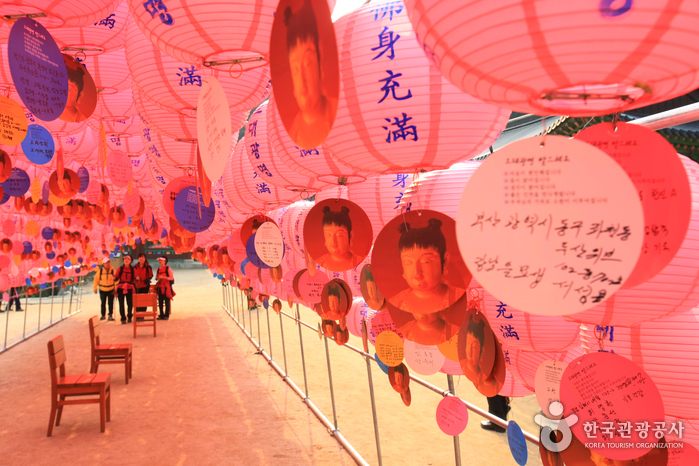 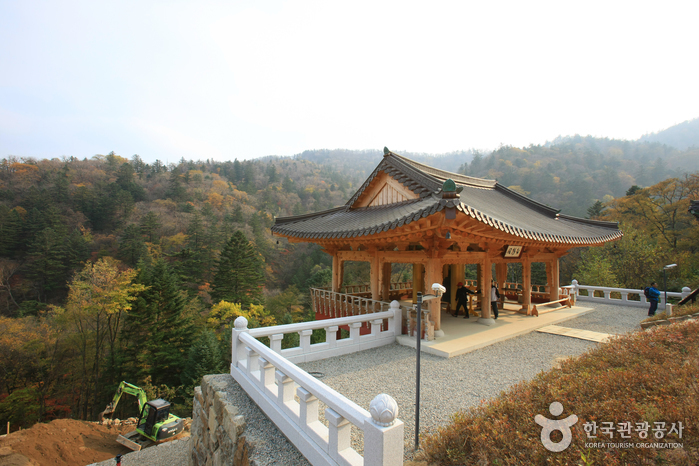 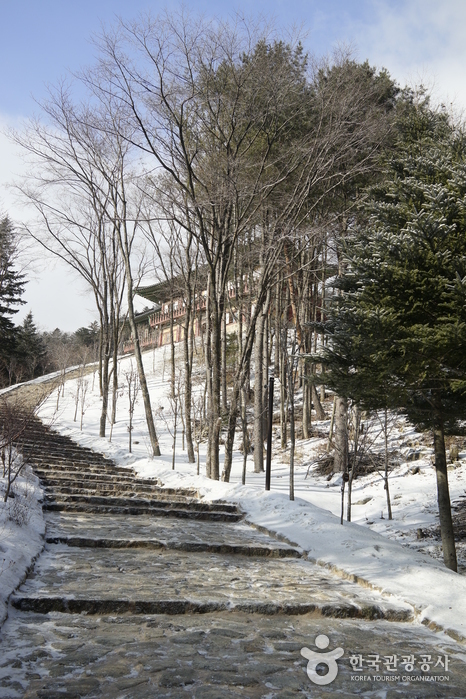 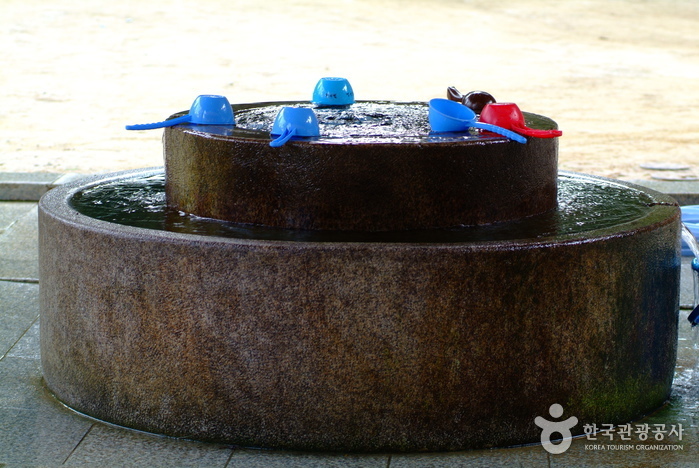 Gwangdaegeori, located at the temple entrance, is also connected with King Sejo through a story of his bathing in the pure mountain stream one day while visiting Sangwonsa Temple. 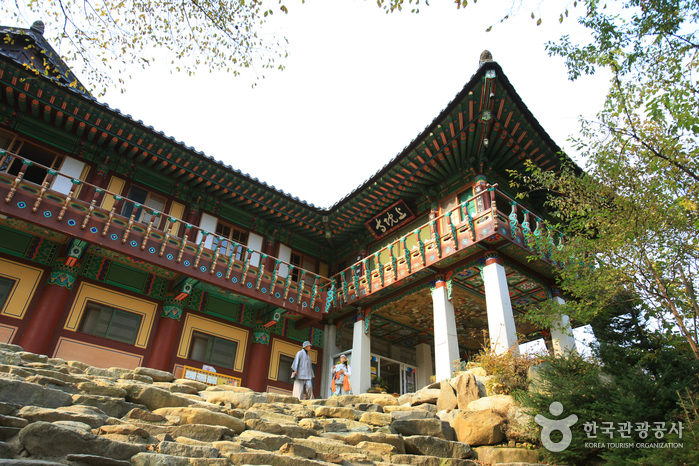 Take a bus from Dong Seoul Bus Terminal to Jinbu. 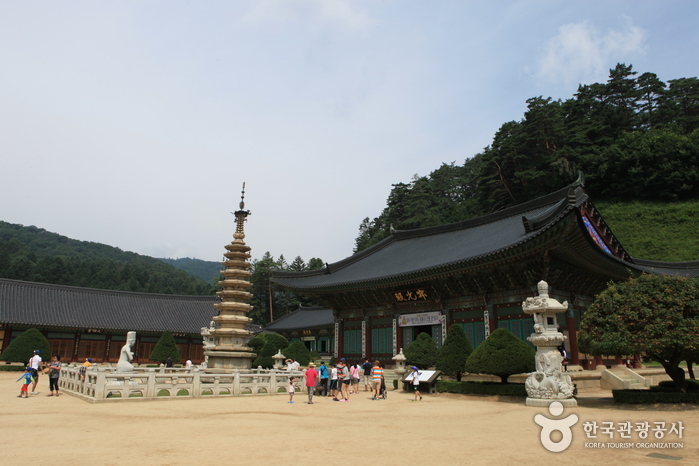 From Jinbu Intercity Bus Terminal, take a bus bound for Sangwonsa Temple.